Windstar Cruises is excited to announce their return to Tahiti in the summer of 2014. 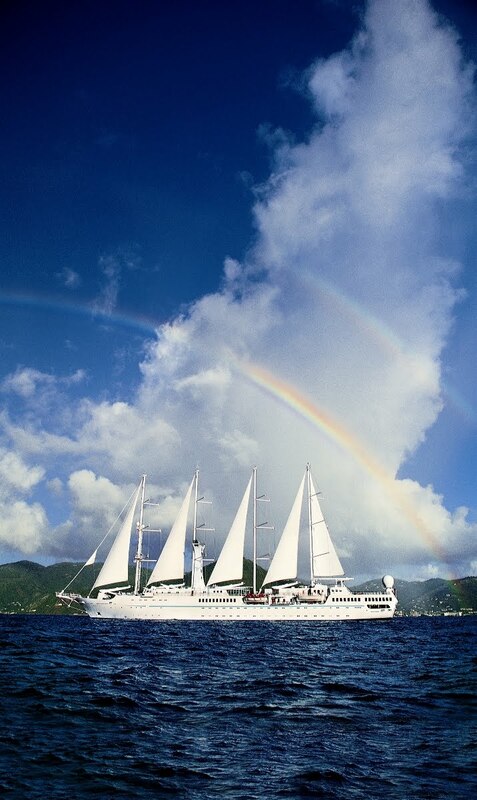 Beginning May 2, 2014, Wind Spirit will sail seven-day voyages from Papeete, Tahiti. Wind Spirit will sail a total of 28 voyages in Tahiti, with the last voyage on November 7, 2014, before returning for the winter season to Panama and Costa Rica. This will be the first time Windstar Cruises has returned to the French Polynesia Islands since 2005! Wind Spirit will sail to the following islands on her week-long voyage beginning in Papeete, Tahiti on her first sail of the South Pacific. Moorea (overnight) - the beauty of this unforgettable island of love lies in drama and adventure. Taha'a - this fragrant island is known for its abundance of vanilla and offers a glimpse of the traditional tranquil life of the Tahitians. Raiatea (overnight) - recognized throughout Tahiti as the 'Sacred Island,' it also serves as the cultural heart of French Polynesia. Huahine (overnight) - known as the Garden of Eden, with lush forests, untamed landscape and quaint villages. Bora Bora (overnight) - an island paradise in the South Pacific and known worldwide for its natural beauty. Guests can enjoy the aqua blue water of the South Pacific Ocean at the back of the yacht with Wind Spirit's watersports platform, which offers paddle boards, kayaks, hobie cats, wind surfing, snorkeling equipment and more. Windstar's voyages from Tahiti will go on sale in mid-March 2013.